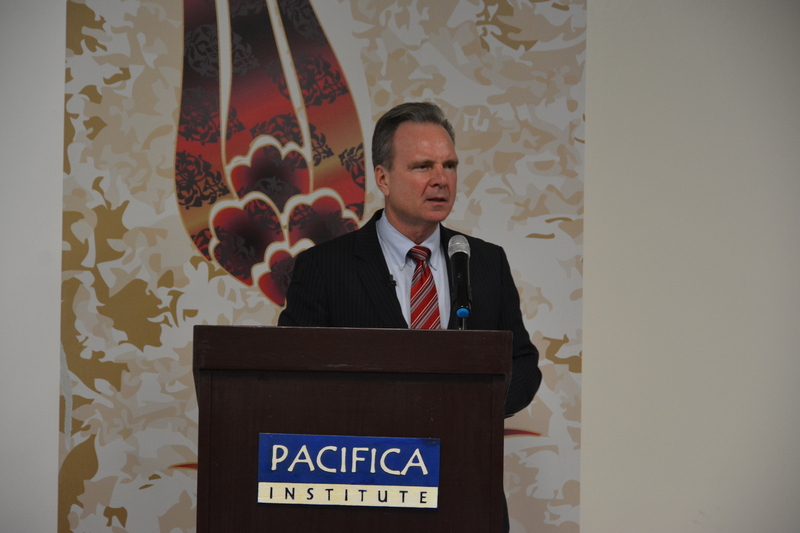 In his keynote speech, Santa Clara County Supervisor Dave Cortese has highlighted the importance of building bridges and understanding between different communities. Dave has shared his experiences and efforts in community building efforts in Santa Clara County. The dinner followed by a wonderful Turkish Marble Art demonstration by the marbling, illumination, gliding, and fine paper carving artist Ms. Hulya Yaatasi. 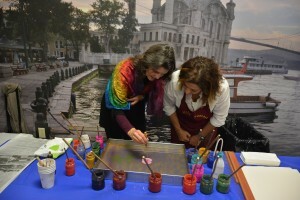 The guests were able to observe live demonstrations of marbling and asked questions about shaping the paint on water. 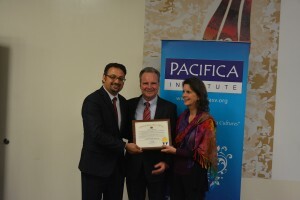 Pacifica thanks to our friends who were able to join us in this event honoring and raising awareness for the refugees.